You may be working in a cross domain environment. The group you are using in extended search may not be a universal group. This may be the reason why you are not able to get the result in extended search. 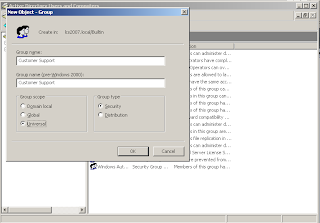 Please try selecting “Universal” for the group accessing extend search..